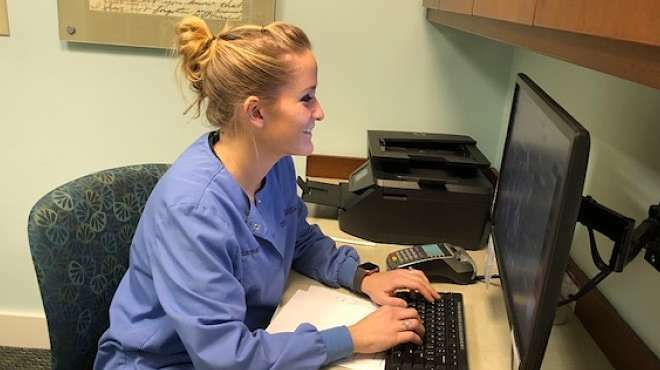 Hannah Hopper, Hygienist and Blogger about Gum Disease. Thanks for sharing, Hannah! Do you think you may have gum disease? Have you ever wondered why your gums bleed after brushing or flossing (or even after leaving the dentist)? Do you want to know more about gum disease? You came to the right place. At Cranford Dental we are very concerned about gum disease. Why do we fear gum disease? And know so little about it? Growing up we learned to brush our teeth, floss, and avoid candy and sweet drinks. Our parents did not want us to develop cavities. No one told us about gum disease. As we get older we must realize that gum disease may be a bigger problem to us than cavities. How does one develop gum disease? Every day we consume foods containing sugars that are converted into acids by the saliva in our mouths. This causes plaque to stick to our teeth. The acids in the plaque attack the hard surfaces of our teeth (also called enamel). This plaque causes inflammation and bleeding of the gums when not removed by our toothbrush. This inflammation and bleeding is also known as Gingivitis. Gingivitis is the early stage of gum disease. Untreated Gingivitis leads to gum disease (Periodontal Disease). You can reverse Gingivitis if you catch it early and treat it. Halt and reverse Gingivitis by visiting your dentist every six months for cleanings, brushing twice daily for 2 minutes each time, and flossing at least once daily. Yes we harp on flossing and brushing and regular visits. This is for the safety of our patients and the health of their teeth. We would rather avoid than treat gum disease. While we cannot reverse Periodontal Disease, we can treat it to stop the damage to gums and loss of teeth. At Cranford Dental we have special training in treating gum disease. Please let your hygienist know if you are concerned. 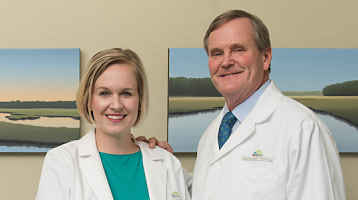 She will set up a plan to restore your teeth and gums to good health. What if I ignore my symptoms? Unfortunately most patients are unaware of the severity of gingivitis and leave it untreated. Gingivitis will eventually cause the gums to pull away from the teeth and create pockets around the teeth that will collect plaque and tartar. When pockets develop and infection is present, this leads to Periodontitis, or gum disease. Periodontal Disease is the cause and effect of ignored Gingivitis. Periodontal disease will eventually cause the teeth to become loose, fall out, or need to be extracted. Periodontal disease is the regression of bone levels around the teeth that are holding them in the mouth, thus causing the teeth to become mobile or even fall out. While you can reverse Gingivitis, you cannot make Periodontal Disease go away. According to the CDC (Center for Disease Control) 47.2% or 64.7 million adults over 30 in America live with periodontal disease. At Cranford Dental, our goal is to detect the early stages of gum disease and to prevent patients from developing periodontal disease. Only YOU can prevent gum disease! If you are scared or anxious about gum disease have no fear. You can prevent all the problems caused by gum disease. Listen to your mother and brush and floss your teeth. It is easier on your wallet and your teeth to prevent the disease than to treat it. Call Cranford Dental to schedule an appointment if you would like to begin a plan to avoid or manage gum disease.